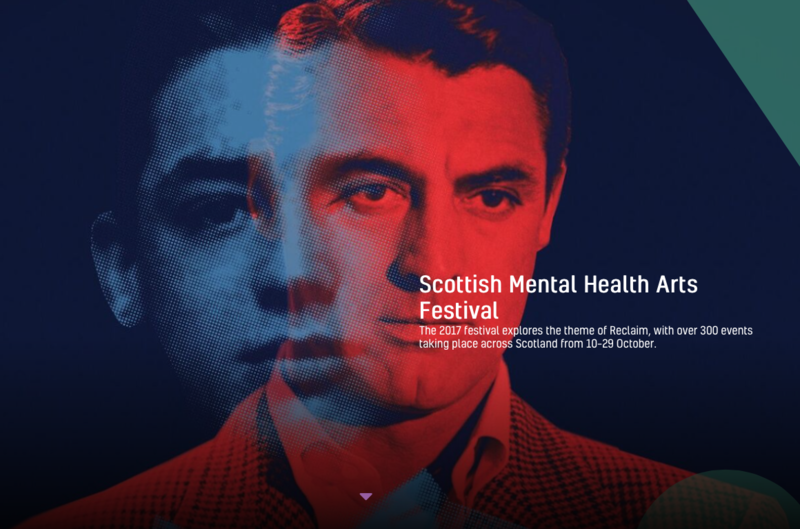 The 2017 Scottish Mental Health Arts and Film Festival, now in its 11th year, runs from 10-29 October supporting art across 300 events encompassing film, theatre, literature and music. The experience of mental health difficulties is creatively explored through connecting with artists and their inventive capabilities, thus promoting and encouraging positive well-being. I attended the International Film Awards, hosted by the Scottish Mental Health Arts Festival at the Centre for Contemporary Arts (CCA) in Glasgow, where Ingrid Kamerling, Dutch writer and film-maker, was awarded for the Best Mid-Length Documentary for ‘Vivian, Vivian’. The film-poem explores Kamerling’s relationship with her younger sister, Vivian, through a stream of consciousness, representing her skipping thoughts, yearning to understand why she ended her life at the age of 24. In a discussion with Kamerling before the film screening, she explained that the film has layers, where she initially portrays herself as the ‘detective’ in finding out the reasons behind her sister’s suicide. Kamerling explained that she prefers it when people approach her to explain how they see themselves in Vivian – rather than asking her about the feelings surrounding the death. The film begins intuitively; a young woman with characteristic blonde girls representing either Ingrid or Vivian herself, standing on an empty shot of the lawn. Then, there are rendered components of Vivian’s existence before and after her passing. There are moments of personal, recorded footage from Vivian’s past but also conversations with her parents, friends and employer, illustrating her as a charismatic and ambitious individual who was also too hard on herself. She is described as ‘always wanting to do everything perfectly’ and strongly wished to live a life without fear, the anxiety being something that she complained to her father was genetic. There are scenes featuring Kamerling looking through Vivian’s belongings, trying on her clothes and quietly laying on her bed, hopelessly lost in thought and desperately attempting to extract any amount of information that she can that could point to a reason behind her sister’s suicide. Contrastingly, Tom Lock Griffiths’ ‘Waterfall’, winner of the Best Experimental award for his essay-film, uniquely explores the perception of grief surrounding his mother’s suicide using only words. It is about how the memory of grief is entrenched in the landscape, unable to be seen in every single moment but nonetheless always present. Griffiths’ explained that he began writing five to six years after his mother’s suicide, spending the former period self-medicating, insisting that he was coping. The film features the underwater sounds and landscapes, depicting the act of remembering as falling through the water and seeing a distorted view of the world. In an interview after the screening, Griffiths’ explained that this was his mother’s third suicide attempt. Beside her body was a suicide note, a paper from the hospital detailing her mental health difficulties. Griffiths’ described that ‘because my mother was such a practical person, this suicide note tells me so much… that it tells me nothing’ and went on to add humour to the situation saying that, ‘she probably thought well, this will do, I don’t need to write another’. During the interview with Griffiths, many important discussions were had surrounding the stigma in speaking about mental health. He explained that he occasionally refrains from telling people the cause of his mother’s death, reflecting on the way body language changes when he mentions the word suicide. People seem to become rigid when it’s mentioned, feeling pressured to ask the right questions, so, they resort to uncomfortable silences and almost awkward, unpleasant distance. In ‘Vivian, Vivian’, the word ‘suicide’ was not mentioned. Instead, people were speculating that Vivian might ‘do something crazy’. However, both Griffiths’ and Kamerling reflected on the notion that everyone who commits suicide must be in a severely deteriorated mental state – but this is very far from the truth. In fact, Kamerling mentioned that she has had many people approach her after seeing the film, self-reflecting on how much they related to Vivian, sparking a well-needed conversation. In summary, it was agreed between the film-makers and the audience members that opening a discussion about death is important, and the fact that we rarely do may be halting our progress in accepting mental health issues for what they really are. Perhaps it is our culture that affects our unwillingness to converse, as pointed out by an audience member. Regardless of the reasons, ‘Vivian, Vivian’ and ‘Waterfall’ are vulnerable but very necessary forms of communicating something that unravels what is important in our world – much like diving into the water and discovering something new. - Reviewed by Tanya Bhayani, an undergraduate at the University of Aberdeen.